Having finished the International Champions Cup with just one point from three matches, there is plenty of work for Zinedine Zidane to do over the next week as Real Madrid prepare to take on Manchester United in the UEFA Super Cup on August 8. Given that they fell to a penalty shootout defeat against United and lost 3-2 to their Spanish Super Cup rivals Barcelona, Los Blancos need to put things right quickly or else they risk letting the first two pieces of silverware of the season pass them by. These, then, are four of the issues for the French coach to solve over the coming week, one which includes another pre-season game against the MLS All-Stars. One of the problems during the Champions League winners’ pre-season outings has been a lack of concentration and the tendency to become distracted. There has also been a lack of intensity, as was evident during the first 10 minutes of the match against Barcelona and the game against Manchester City, who applied more pressure and injected more rhythm into the game. The kinds of errors being committed by the capital city side, such as lost balls or set piece mistakes, could prove costly in a Super Cup. Having joined up with the squad later than most and having then been stuck on the sidelines due to an ear issue that plagued his American tour, Sergio Ramos isn’t yet match sharp, as was seen in Miami. Zidane, then, will have his work cut out in getting his captain ready for competitive action, given that the centre-back has only been part of the group for the past five days. 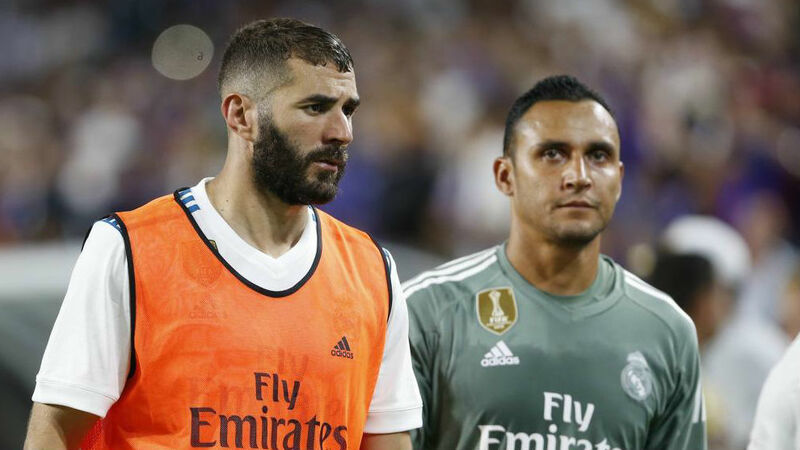 One of the most troubling problems has been the lack of effectiveness in attack, with the partnership of Karim Benzema and Gareth Bale yet to get going. Cristiano Ronaldo isn’t going to be ready for the UEFA Super Cup match, so Zidane must find solutions. Having lost James Rodriguez, Danilo and Alvaro Morata, there is a need for the new arrivals to be ready to contribute right from the off. While the departed trio weren’t starters last year, they did play a key role from the bench and now the new arrivals like Dani Ceballos, Marcos Llorente, Jesus Vallejo and Theo Hernandez could be the ones called upon if there is an injury or suspension.